Tamu is another name of Gurung community of Nepal. Who are the indigenous inhabitants of west-central parts of Nepal. Losar means New Year, a beginning of Gurung’s New Year. It marks the beginning of the Tamu Sambhat or gurung calendar year. Tamu Losar is celebrated on every 15 Poush of the Nepali calendar (December/January). This year Losar falls on 30th December 2016 on Friday. It is the time of gathering of family members of all generations to get together and exchange greetings to the elders and love to the young ones. There are numerous clans of Gurungs, the members of which are all well known of their bravery in the world war and cultural wealth. Their warm welcome and hsopitality at the Losar celebration weree evident from the plates with sel roti (circle bread) and nepali Pickles along with the famous rice beer which are usually home made. In big cities, Gurungs come together to celebrate Tamu Losar (Gurung’s New Year) at a common place and rejoice in various cultural processions, feasting and greetings. 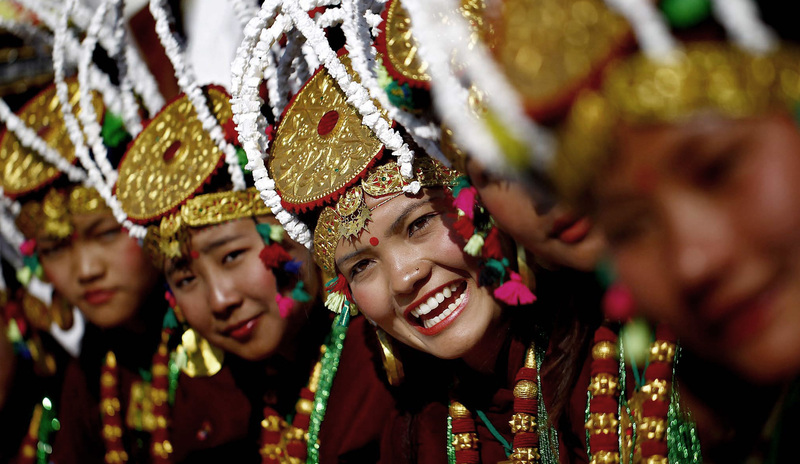 In older times, mostly in villages, they gathered in a courtyards to celebrate Losar. In kathmandu, it is celebrated by mass from different places of Nepal in Tundikhel ground. Making the place vibrant with colorful stalls and people wearing traditional dress. As the Poush month itself marks the end of winter and start of the spring which brings warmness and charm to the festival itself. Gurung community all across the world celebrate Loshar by organizing different traditional programs and rallies in their traditional attires. This day in Loshar is an opportunity for the foreigner nationals who are traveling to Nepal to witness the cultural aspect of Gurung community.